How Developing Your Basic Human Skills Can Give You The Confidence To Live Your Life To Its Full Potential, Without Unnecessary Fear! Please join us for the 15th installment of our quarterly Women's Series. This series is a collaborate effort between the BABC-Georgia and the Belgian, French, Netherlands, Finnish and German American Chambers of Commerce. 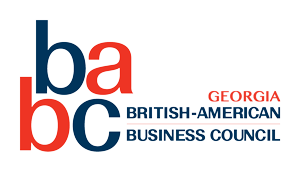 This quarter's event will be hosted by the BABC-Georgia and BDO Atlanta. BABC-Georgia member Jennifer Riis-Poulson will educate and empower us through her innovative self defense program. The American Psychologist, Abraham Maslow, provided us with a pyramid of basic human needs. The foundation of this pyramid must be in place in order to fully reach our true potential. Part of the foundation is safety needs, which includes the need to protect ourselves and to be free from fear and chaos. By using POWERHOUSE as an acronym, you will discover how training your skills in Prediction, Recognition, Observation and Intuition can develop your awareness and increase your emotional and social intelligence, giving you the confidence to achieve your goals.